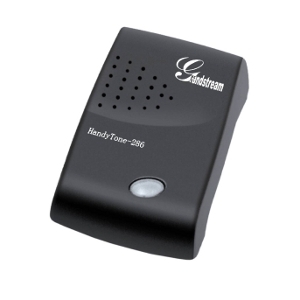 Grandstream’s HandyTone 286 is a next generation, cost effective solution for consumers looking to transition from traditional analog telephone devices to the savings and benefits of an IP telephony network. The product interfaces legacy analog telephones, fax machines, analog conference telephones and other analog devices to IP based telephony networks. The HandyTone286 is an entry level Voice-over-IP device supporting one telephone number and one RJ-45 interface 10/100 mbps Ethernet network. For more technical and/or pricing information about the adaptor please contact IXO sales team. Because each organization's network is different, IXO offers the adaptor set up consultation, which includes on-site installation (minimal charge of 50 euro). Further technical support services are also available. Simply complete one form and you will be promptly contacted by owr specialist who will help you develop your requirements and discuss all of your options.